Currently viewing the category: "Inferring"
Summary: Fifteen-year-old Mari Pujols believes that the baby she’s carrying will finally mean she’ll have a family member who will love her deeply and won’t ever leave her—not like her mama, who took off when she was eight; or her papi, who’s in jail; or her abuela, who wants as little to do with her as possible. 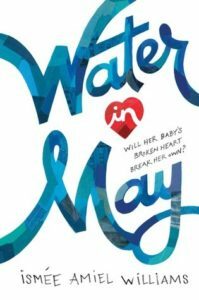 But when doctors discover a potentially fatal heart defect in the fetus, Mari faces choices she never could have imagined. 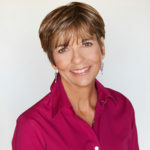 About the Author: Ismée Williams is a pediatric cardiologist who practiced at the Columbia University Medical Center in the Washington Heights neighborhood of New York City for fifteen years. She currently sees patients at Montefiore Hospital in the Bronx. As the daughter of a Cuban immigrant, partially raised by her abuelos, her background helped her understand the many Maris she met along the way. Water in May is her first novel. Review: Mari’s story is one that isn’t often told. Mari is someone most people would see on the streets and would try to ignore because getting to know her would be getting to know how hard life in America can be. But Mari is also someone who is stronger than many of us will ever be. Her story is one that will make readers think about assumptions OR will help readers see a mirror into struggles they may be having in life. Although I hope teens don’t see Mari’s story as an invitation for a teenage pregnancy, I believe the truth of her hardships show the tremendous change a baby brings to life and will show that Mari’s decisions are made out of desperation when there are other paths she could have taken. Some who read the book have said they don’t like Mari as a character, but I found that when Mari was frustrating, it was because she was acting like what she is: a fifteen-year-old girl trying to find her place in this crazy world. Guide can also be accessed through Abrams Books’s Resource Page. Summary: There are many ways of letting go. Honest and uplifting, this cheerfully illustrated ode to change gently empowers readers to brave life’s milestones, both large and small. Review: Wow! What a great lesson within the pages of this book! As kids grow up, one of the hardest things is the saying goodbye to things as they outgrow or as the world changes. For example, Trent just finished preschool and is now in a jump start to pre-K program, so he is switching teachers. What a hard transition! We’ve also had a lot of change at my school that I teach at, and I have had to talk to my middle schoolers about change. It is hard for them, too! And the book doesn’t only deal with big changes, it also shows that seasons change, clothes change, haircuts change… Life is about changes, and we have to learn how to work through them to live our happiest life. 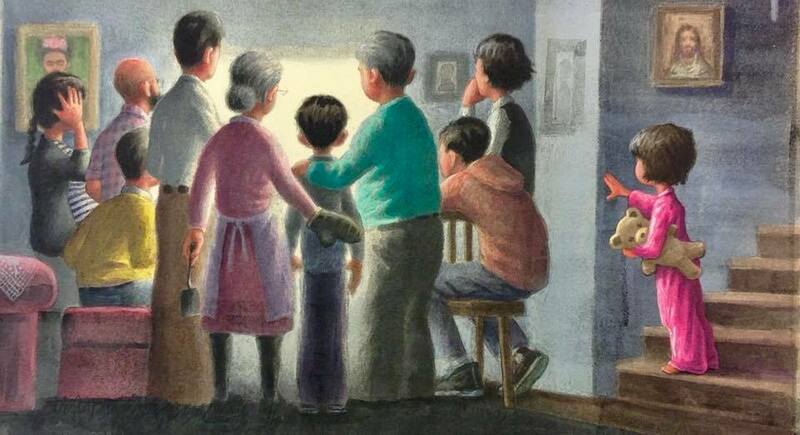 Because of the way the book is written, a lot of discussion can happen inferring from the writing and the illustrations to help determine what change is happening to the kid in the illustration. What are some things you’ve had to say goodbye to? Were you sad to leave them behind? Or did you feel happy that you were moving on to something new? On the back cover of the book it says, “Trying new things takes courage.” What do you think this means? Can you think ahead to what things you’ll do in the future? What will you be saying goodbye to soon? What hellos are you looking forward to? 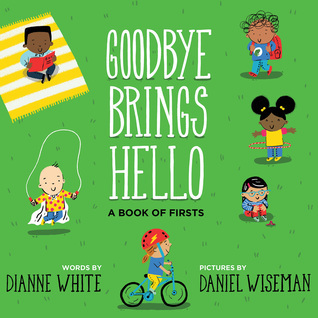 Do you think saying goodbye and hello to things only happens when you’re a kid? Do grown ups say goodbye and hello to things? 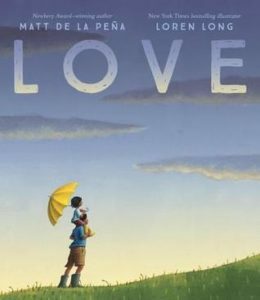 Summary: From Newbery Medal-winning author Matt de la Peña and bestselling illustrator Loren Long comes a story about the strongest bond there is and the diverse and powerful ways it connects us all. Kellee’s Review: I sat here for a long time trying to figure out how to put into words how I feel about this book. I just can’t, but I will try. Let me give you some history. At ALAN in 2016, I believe, Matt was a speaker, and he shared how he’d written a poem about love to share with his daughter when the world didn’t seem so loving. Matt’s daughter is approximately Trent’s age and she’s his first just like Trent is, so I completely understood his feelings–the reality that we’ve brought children into this hard world. When Matt read his beautiful words, I cried. It was beautiful. At the end of the poem, he let us know it was going to be a book, and I had very high expectations. Then at NCTE 2017, I heard that Penguin had a finished copy. I thought that there was no way that the book could live up to what I expected. But then I read it. And I cried again. I, probably rudely, found Matt right away, maybe interrupting a conversation he was having with someone else, to tell him what a beautiful book he and Loren had created. Matt’s poem had been about love, but the book is about LOVE. Love in the sense that every one needs to start thinking about–love between every person. Empathy. Understanding. Tolerance. Unity. Love for all humans. And as I read it over and over (after I was lucky enough to receive a copy), I couldn’t think of a kid I didn’t want to share it with. I wanted to share it with my son to talk about how much I love him and how he should love all of human kind; I wanted to share it with my friend who is a 2nd grade teacher, so she could share it with all of her students; I wanted to share it with my students, so we can discuss about the love and acceptance found in each spread and each word; and I am so happy to be sharing it here with all of you so that it can be in every person’s life. 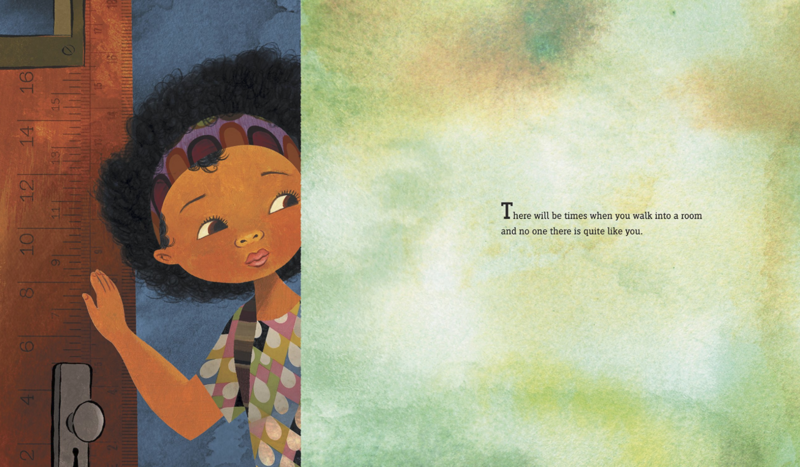 Also, please read this amazing article by Matt de la Peña: “Why We Shouldn’t Shield Children from Darkness” from Time and Kate DiCamillo’s follow-up “Why Children’s Books Should Be a Little Bit Sad” where she answers a question de la Peña posed in his article as well as this Twitter thread from Sayantani DasGupta where she explores the need for joy in the darkeness! It truly embodies my parenting and teaching philosophy: that although kids are kids, they are also humans and future adults; life should be about being real and about happiness. In the end, I want to just thank these two amazing men for writing this phenomenal book that I so feel is needed so badly right now, and thank you for including nothing but truth within it including inclusion of all types of people and children and situations and cultures and races and ethnicities, etc. Ricki’s Review: I am really looking forward to seeing Matt de la Peña next month during his tour! 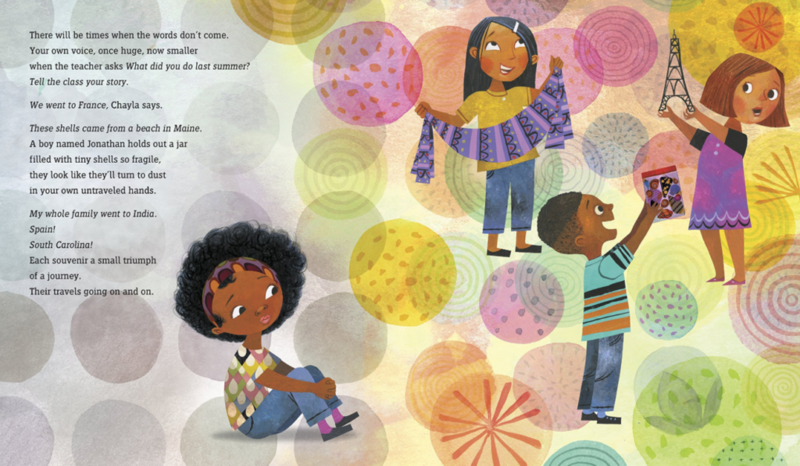 This book is absolutely stunning, and we will certainly be purchasing many copies to give as baby shower gifts. The entire text simply emanates love. It is honest, poetically, and it treats children as the intelligent people that they are. The illustrations are simply marvelous and the words dance across the page. I simply don’t have the words to share how absolutely beautiful this book is. 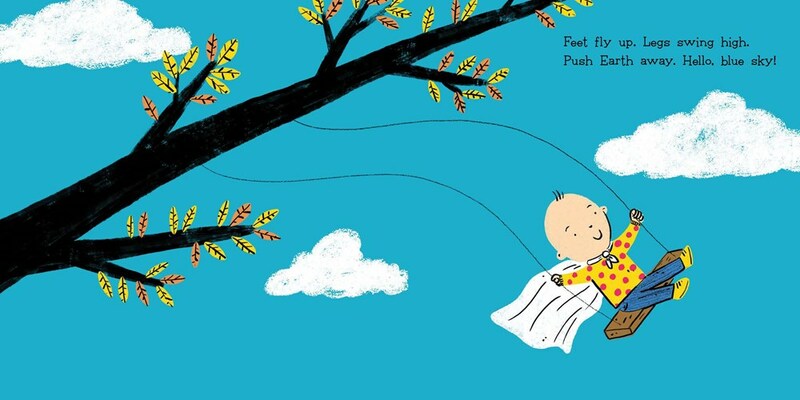 When I think of this book, I think about a warm, cozy house and two little boys on my lap. And these little boys make me feel love, love, love. Teachers’ Tools for Navigation: I’ll talk about one scene specifically, which happens to be my favorite. As soon as I saw this scene, I wanted to show it to students and have discussions with them. How does this scene make them feel? Who is the family? What are they watching? What clues did they use to answer these questions? And I would ask them how these words change the inferences they made about the spread. Lastly, I would ask them why this stanza would be in a poem about love, how it fits with the theme, and what it represents. Recreate my experience by sharing the poem first with the circumstances I shared above. 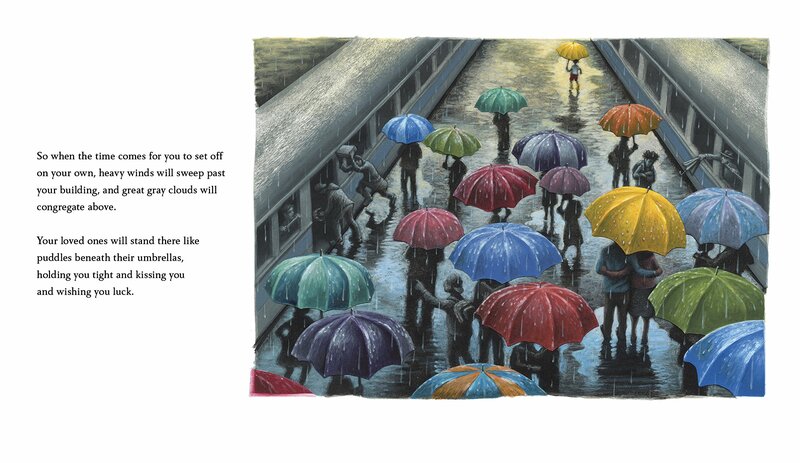 Then reread the poem to them but with the illustrations. After the first read, you can also have them make their own illustrations analyzing the words then compare/contrast the choices that Loren Long made with what they did. 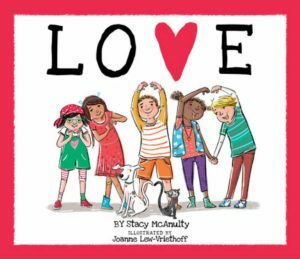 Why did the author and illustrator include tough scenes in their picture book about love? Which scene represents love the most for you? Which scene are you glad they included? 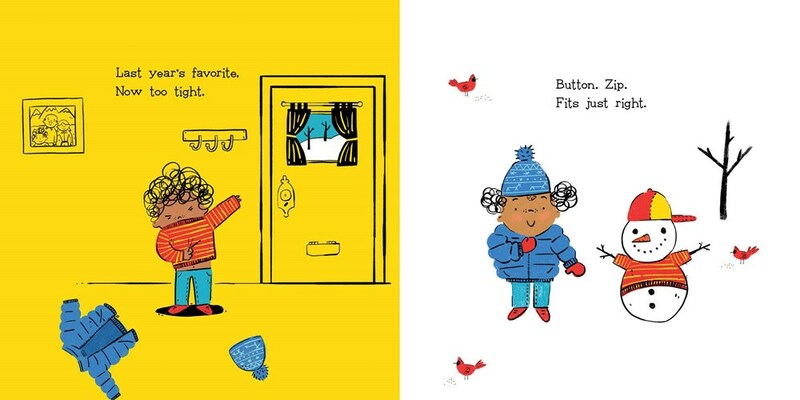 How does the poem differ with and without the illustrations? What different purposes could this poem of love be perfect for? Summary: Laszlo is afraid of the dark. But is the dark afraid of Laszlo? 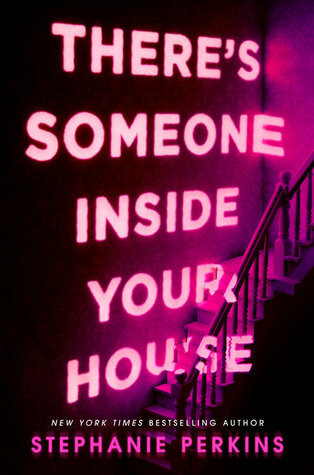 They live in the same house, with the same creaky roof, smooth, cold windows, and several sets of stairs. But the dark mostly stays in the basement…until one night, when it doesn’t. Laszlo walks through his house, as the dark converses with him, on a journey to overcome his fear. Review: In his unique writing style, Lemony Snicket takes an eerie childhood fear and personifies the dark in a soothing way. John Klassen’s illustrations are a wonderful compliment to the story of Laszlo, using black space and warm colors to enhance the mood. I’m very impressed by the way they take a concept that many children fear, and transform it into a friendly, calming presence. I cannot wait to add this book to my library! Teachers’ Tools for Navigation: Teachers can use this book as a mentor text for a variety of mini lessons. 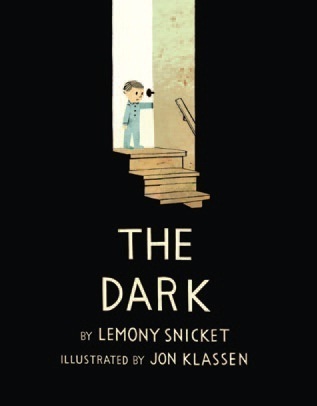 Lemony Snicket personifies the dark, uses vivid language to talk about Laszlo’s house, and creates suspense through a blend of dialogue and narration. In addition, it’s an excellent book to teach a lesson about overcoming one’s fears. 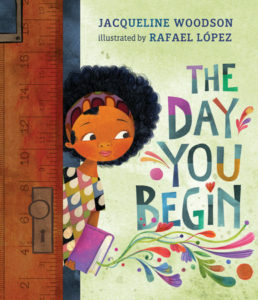 There’s so much that this book can add to a classroom! Discussion Questions: What are some places that you are scared of, and why are they scary? Was the dark really scary? How did the dark help Laszlo? Why shouldn’t we be afraid of the dark? What should we do when we are afraid of something?